The Orion Star A122 Handheld Conductivity Meter is visually very clear and easy to use. The built in large LCD displays meter mode and battery life, conductivity or TDS readings along with temperature in °C or °F. 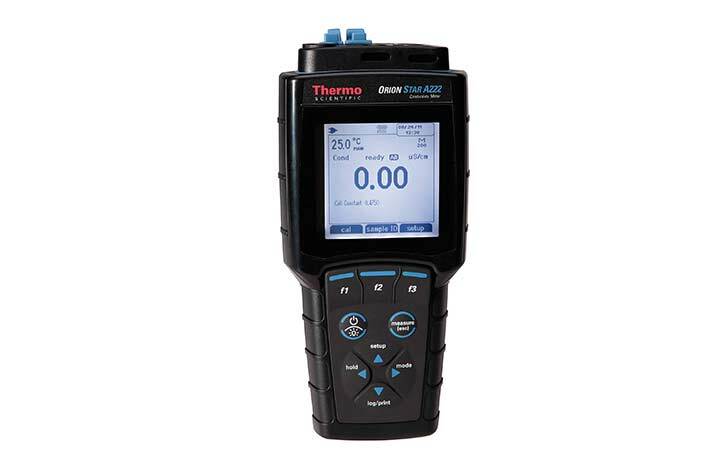 Selectable reading reference temperatures of 20°C and 25°C give an accurate result. Updates on battery life and completed calibration status are easy to access through simple button layouts and onscreen messages which help with setup menu and calibration choices. Manual calibration comes as standard with the Orion Star A122 Conductivity Portable Meter with the option to purchase an automatic calibration option separately. The Orion Star A122 Handheld Conductivity Meter is portable, waterproof and the IP67-rated housing makes it protected to use in any location making this a versatile piece of equipment. Other features that enhance this meter are AUTO-READ™ which locks in stable readings on screen and the ready indicator alerts the user when readings are stable. Plus a built in memory capacity to hold 50 data points. Powering the handheld conductivity meter is also versatile with the option to operate from four AA batteries which give over 2000 hours of operation, or the universal power adapter available to purchase separately which enables the Orion Star A122 Conductivity Meter to run on AC power. There is a standard 3 year meter replacement warranty complete with this meter. 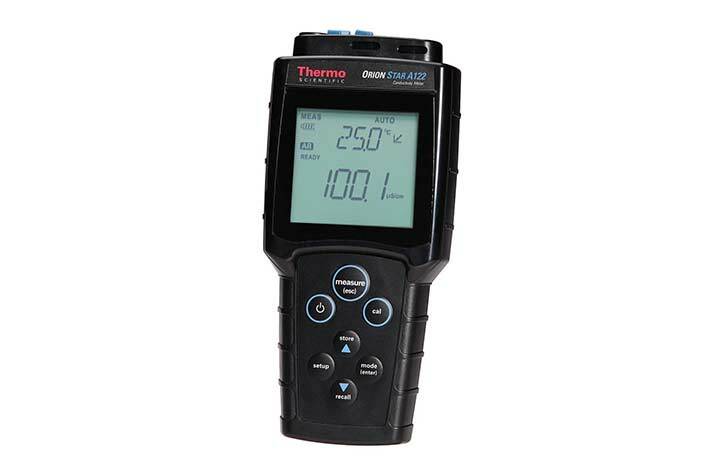 The Orion Star A222 portable Conductivity (EC) Meter has the advantage of a large backlit LCD display which clearly shows conductivity/ TDS/resistivity and temperature whilst also displaying electrode status, time, date and calibration points. 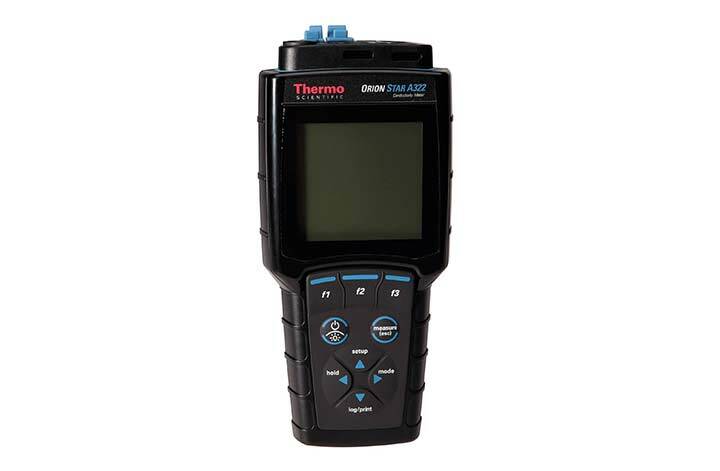 The Orion A322 Portable Conductivity Meter is the perfect option if advanced measurements are required on location. The large backlit graphic LCD clearly displays conductivity/TDS/salinity resistivity and temperature.